owls about that then! : Boxing clever? After many evening sessions over the last couple of weeks the new batch of owl box making is reaching its conclusion, only the wood preserve to go! Then the good bit starts soon with the siting of the boxes, then the continual monitoring will commence to see if anything takes a liking and moves in? The chances of getting any new breeding residents this spring has been greatly reduced because of how late they will go up, but unavoidable circumstances like no cash, lack of time and no where to build put paid to that! However, 21 new ones have been made and once up it will bring my overall tally to exactly 100 boxes. This year has seen a slight change in the design with the Barn & Little Owl boxes and my first ever Tawny boxes will go up too. All three designs have been manufactured from the same size carcass, the major differences being with the fronts, the reasoning was to reduce manufacturing time and costs. All the boxes have been manufactured using 12mm red faced ply (higher quality than previous years), and battened internally with 25mm box for additional strength. All fixing have been screwed (no nails!) they all have a side sloping roof and entrance door for cleaning/ringing on the right hand side. Slightly larger than in previous years but basically the same design apart from the now included external landing shelf. 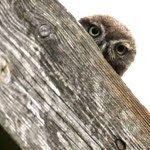 It still retains the internal tunnel that the Little Owls love but it is taller thus allowing the owl to stand up inside the bow whilst viewing out of the hole. I have moved away from the traditional type "A Frame" box this year, although the internal dimensions are very similar. The 5" x 6" entrance hole is located up towards the top of the front so as to keep the juveniles in for longer, Barn Owls are renowned for being over enthusiastic and falling out! The entrance hole has been framed so as to help prevent draughts. Identical to the Barn Owl box apart from the larger and lower entrance hole (6" x 7"). Research has proven this type of box to be far more beneficial then the traditional "tube type" box that are associated with Tawnies. The "tube type" makes it difficult for the birds to gain purchase on the sides when getting in or out and damage to the wings, eggs and chicks has been recorded. The other problem with the old style is there is hardly enough room for the adult owl let alone 3 or 4 juveniles too! Apparently the juvenile Tawnies will remain in the box until just before they are ready to fledge if they can see out of the box, hence the lower entrance. So now over the next few weeks the boxes will go up in well considered locations, all that now remains is a resident or two...............PLEASE! They look pretty good to me, Paul. All the best with finding new tennants! WOW Incredible site that shows a true commitment to owl research and conservation. 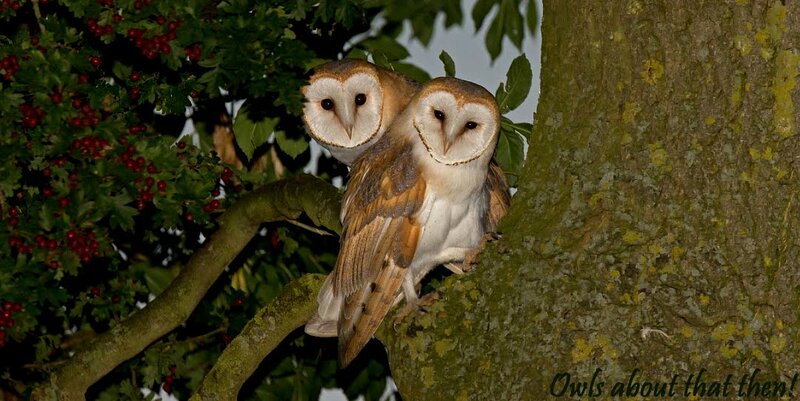 I have been contemplating putting up a barn owl box. I was thinking about an A frame design, but your new design seems a better option. I am liking all the different box designs! good work. Thanks all for your encouragements, thanks also to Stevie, what a brill idea!